We offer a new perspective: Whether you're frustrated with your current technology, wondering if there's a better way of managing your data, or have no idea that alternatives to the 'status quo' even existed, we can come in with fresh eyes and give you objective advice and guidance on everything technology-related. From whether to upgrade your software or invest in a new server, to whether to migrate to the cloud or allow employees to work from home, we can provide our expertise to help you make your move. We've been there, done that: One of the most significant benefits of tapping the services of an outsourced IT firm like ICS lies in our experience. 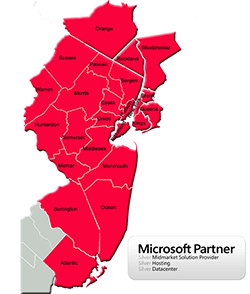 Unlike your in-house IT team, we work myriad companies of all types and sizes, including many who were once searching for Morristown computer solutions just like you are now. This means we've probably done it before, seen it before, or fixed it before, often dozens or even hundreds of times. Put our collective decades of experience to work for your company! We fine-tune the nuts and bolts of your operation: Beginning with a complimentary technology assessment, our team of IT experts will advise you on the best ways to improve operations with technology, then set to work implementing them. We continuously analyze your tech's performance to ensure you're getting the most from your investment. We enhance your high-level strategic planning sessions: With our vCIO services, we join you and your management team at the planning table to help you make better strategic decisions. Want to expand into a new market? It might be best to upgrade your website first to ensure it can manage the additional network traffic. Want to start accepting credit cards online? Better bulk up your online security first. These are just a couple of the myriad decisions we can help guide with our expertise. We invest in the most advanced, secure technologies so you don't have to: There are plenty of technologies we invest in or own that you can access without buying them yourself, and this saves you money. Not sure whether to splurge on that new software? Chances are, we have plenty of experience with it (and we've already worked out all the kinks), so we can let you know whether the expense will help or hurt your bottom line. We never stop working for you: Our team of experts and state of the art network-monitoring services work around the clock to detect and block online threats, install critical security patches, back-up your data, and much more. Get the most out of your IT investment with constant Morristown computer solutions that never clock out. We boost profitability and reduce costs: By outsourcing your IT needs to us, you can reduce costs both directly and indirectly in the form of less downtime, increased productivity, lower overhead costs, and more strategic use of technology. Let us manage your technology so you can get back to managing your business! We improve security: More of a hot-button issue than ever, the security of your network and data is critical. Don't leave it up to chance, crossed fingers, or 'good-enough' efforts. With our 24/7 advanced security services, we monitor and manage your network constantly, working tirelessly to make it more secure. The above list contains just a few of the dozens of reasons you should consider ICS for all your Morristown computer solutions. Call us today for a complimentary on-site technology assessment!